Water is an important component of collagen in tendons, but its role for the function of this load-carrying protein structure is poorly understood. Here we use a combination of multi-scale experimentation and computation to show that water is an integral part of the collagen molecule, which changes conformation upon water removal. The consequence is a shortening of the molecule that translates into tensile stresses in the range of several to almost 100 MPa, largely surpassing those of about 0.3 MPa generated by contractile muscles. Although a complete drying of collagen would be relevant for technical applications, such as the fabrication of leather or parchment, stresses comparable to muscle contraction already occur at small osmotic pressures common in biological environments. We suggest, therefore, that water-generated tensile stresses may play a role in living collagen-based materials such as tendon or bone. Water is an important component of collagen in tendons, bone and extracellular matrix, but its role in the mechanical function of protein is poorly understood. Here, the authors study the effects of osmotic pressure on contraction in collagen, suggesting that collagen could function as a mechanical actuator. The variation in isometric tension with sarcomere length in vertebrate muscle fibres. 1. The variation of isometric tetanus tension with sarcomere length in single fibres from frog striated muscle has been re-investigated with special precautions to ensure uniformity of sarcomere length within the part of the fibre being studied.2. In most respects the results of Ramsey & Street (1940) were confirmed, but (a) the peak of the curve was found to consist of a plateau between sarcomere lengths of 2.05 and 2.2 mu, (b) the decline of tension above this plateau is steeper than found by Ramsey & Street, and (c) the decline of tension below the plateau becomes suddenly steeper at a sarcomere length of about 1.67 mu.3. Many features of this length-tension relation are simply explained on the sliding-filament theory.4. It is concluded that, in the plateau and at greater lengths, the tension on each thin filament is made up of equal contributions from each bridge which it overlaps on adjacent thick filaments.5. Internal resistance to shortening is negligible in this range but becomes progressively more important with shortening below the plateau. Nature designs tough collagen: explaining the nanostructure of collagen fibrils. Collagen is a protein material with superior mechanical properties. It consists of collagen fibrils composed of a staggered array of ultra-long tropocollagen (TC) molecules. Theoretical and molecular modeling suggests that this natural design of collagen fibrils maximizes the strength and provides large energy dissipation during deformation, thus creating a tough and robust material. We find that the mechanics of collagen fibrils can be understood quantitatively in terms of two critical molecular length scales chi(S) and chi(R) that characterize when (i) deformation changes from homogeneous intermolecular shear to propagation of slip pulses and when (ii) covalent bonds within TC molecules begin to fracture, leading to brittle-like failure. The ratio chi(S)/chi(R) indicates which mechanism dominates deformation. Our modeling rigorously links the chemical properties of individual TC molecules to the macroscopic mechanical response of fibrils. 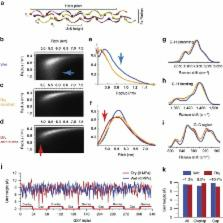 The results help to explain why collagen fibers found in nature consist of TC molecules with lengths in the proximity of 300 nm and advance the understanding how collagen diseases that change intermolecular adhesion properties influence mechanical properties. Copyright statement: Copyright © 2015, Nature Publishing Group, a division of Macmillan Publishers Limited. All Rights Reserved. Comparative study of the angle-resolved backscattering properties of collagen fibers in bovine tendon and cartilage. Lip augmentation using the palmaris longus tendon. A new decorin-like tetrapeptide for optimal organization of collagen fibres.